You should also check out VMware’s “What’s New at VMworld 2018” webpage for a summary of all of the announcements on Cloud, Data Center, Networking and Security, Digital Workspace, IOT and Edge Computing here: https://www.vmware.com/products/whats-new.html? I had the pleasure of attending my first VMworld as an employee of VMware, working in the TAM Customer Central (TCC) area at VMworld Barcelona 2018. You can just about make me out on the left hand side of the ‘O’ in that pic. For those of you that don’t know, the TCC area is an exclusive area for TAM customers to relax, take in some sessions with SME’s, have a coffee with an SME, and just get away from the hustle and bustle, with thousands attending the event. If you are a TAM customer, I’d highly recommend it as you can interact with the SME’s and pose questions about your environment and experiences with VMware products. Your TAM can also follow up with SME’s after the event, getting you slides or helping to facilitate a remote or onsite session with an SME. I was also given access to tweet as the @VMwareTAM twitter account while at VMworld so if you don’t already follow us, please do. TAM customer or not, you will get a really good insight into VMware by following this account. I did feel the pressure of tweeting from an official VMware twitter account, with great power comes great responsibility and all that, reading each of my tweets several times before posting, but it was a great experience and something I’d like to do again. Previous: Previous post: 1 Week until VMworld 2018 Barcelona! 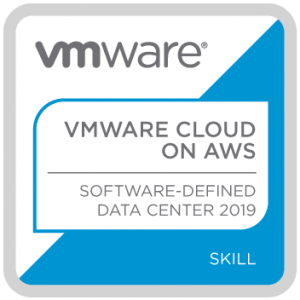 Next: Next post: VMware Cloud on AWS and AWS Native coming to an on premise data center near you!